Finnish rockers, Apocalyptica, are bringing their show to Center Stage on September 5, 2017. 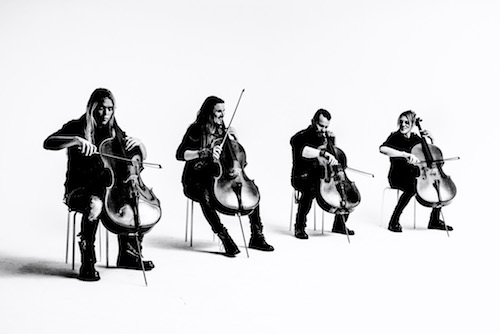 Apocalyptica, is celebrating the 20 year anniversary of their debut album, Plays Metallica by Four Cellos, the instrumental cello-driven rock opus that changed the landscape of heavy music for years to come. The group went on to sell millions of records and astound fans worldwide with their spirited performances. To celebrate the 20th Anniversary of the album, the group re-released the record with additional material and will be doing is doing a first-ever run of dates in the US touring in support of the record. For more information about the band and their show at Center Stage, visit Apocalyptica’s website or Facebook page. Below is a list of more US tour dates. Tickets can be purchased at Apocalyptica’s website.